Glidden Premium Pink to White Ceiling Paint + Primer delivers quality performance at a great price. Our never miss a spot formula makes sure you know where you've been and where you are going. This paint has minimal spatter and great hiding power. For more than 140-years, painters have trusted Glidden and Glidden paints to help them turn inspiration into action to add colour to their lives and Glidden Premium Pink to White Ceiling Paint delivers on this tradition with an exceptional value so you never miss a spot. 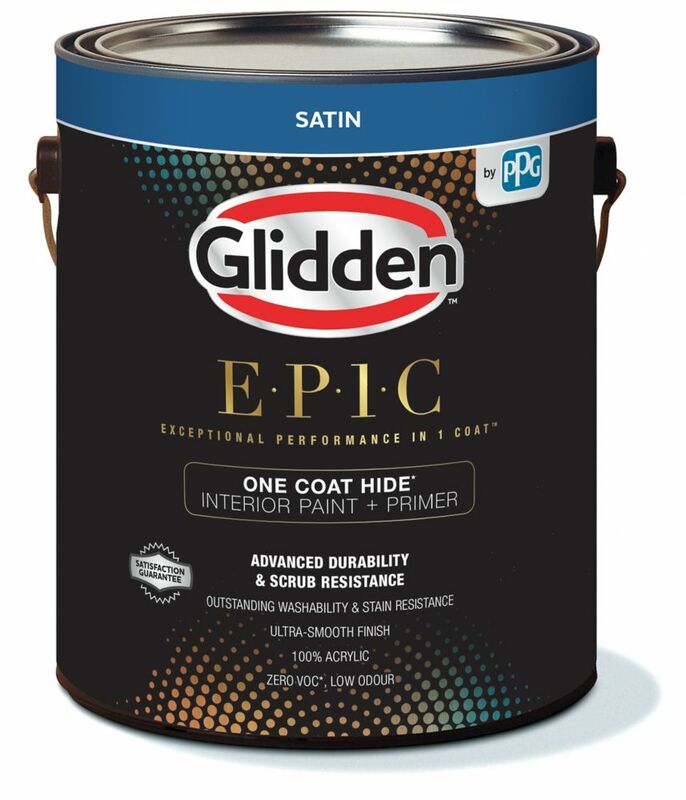 EPIC Interior Latex Satin Medium 3.48L-82408 From stress-free application to an enduring, easy clean finish, this premium quality interior paint was designed to deliver Exceptional Performance In 1 Coat at an outstanding value every day. CIL EPIC has outstanding washability, scrubbability and stain resistance providing a durable long lasting paint. With over 400 one coat colours to choose from in our CIL EPIC palette you'll find the colours you love with ease. EPIC Interior Latex Satin Medium 3.48L-82408 is rated 3.8 out of 5 by 4.